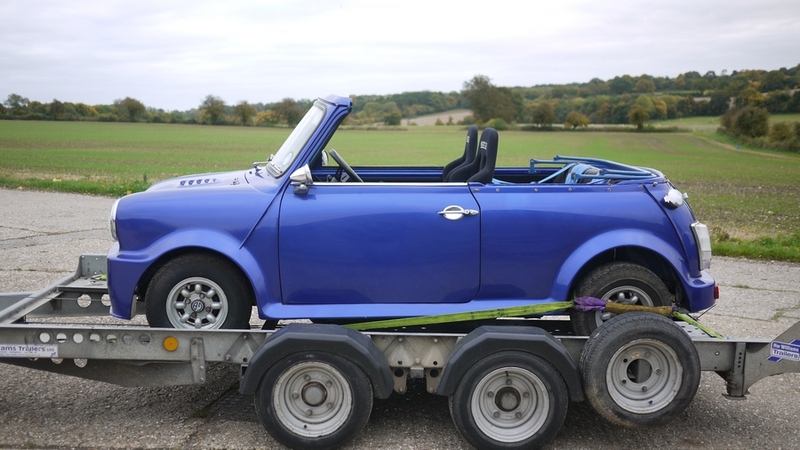 This is great looking classic Mini that has clearly been extensively worked on and converted to a super little convertible. It has a full body kit and would look great at club events and car shows. 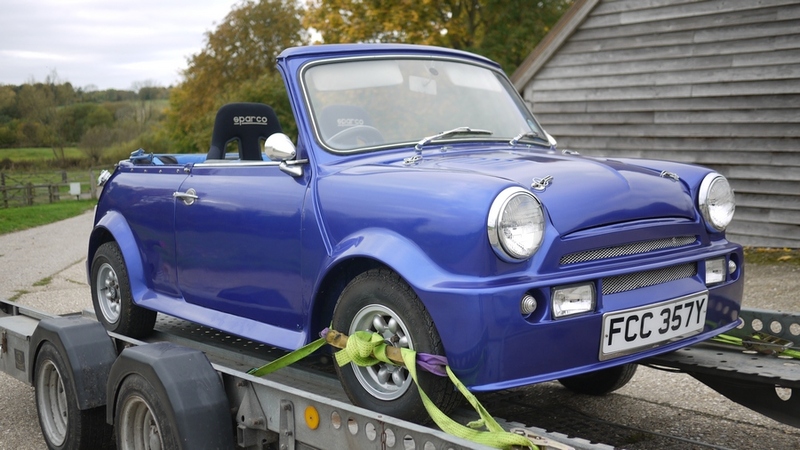 The Mini has been garaged for 15 years and started and moved regularly, but not used on the road in that time. 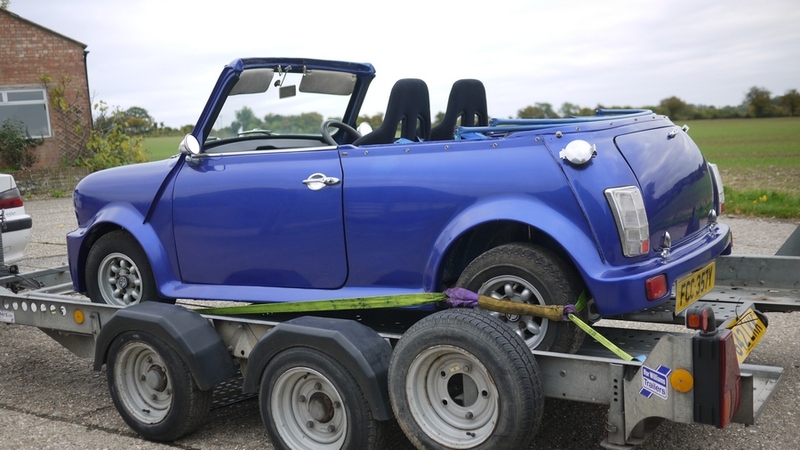 We have looked over the Mini convertible closely and can report that the Mini starts and runs very nicely, the brakes have been eased and the clutch master cylinder is in need of replacement. The body and importantly the underside is nice and sound. 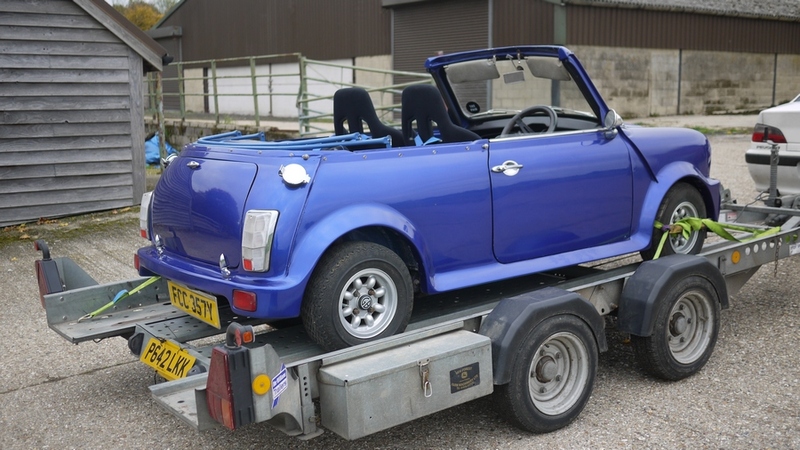 The paintwork is generally in very good order and looks to have been fully repainted in Cobalt Blue (or a very similar shade), thankfully we have a touch up can of paint complete with paint codes. 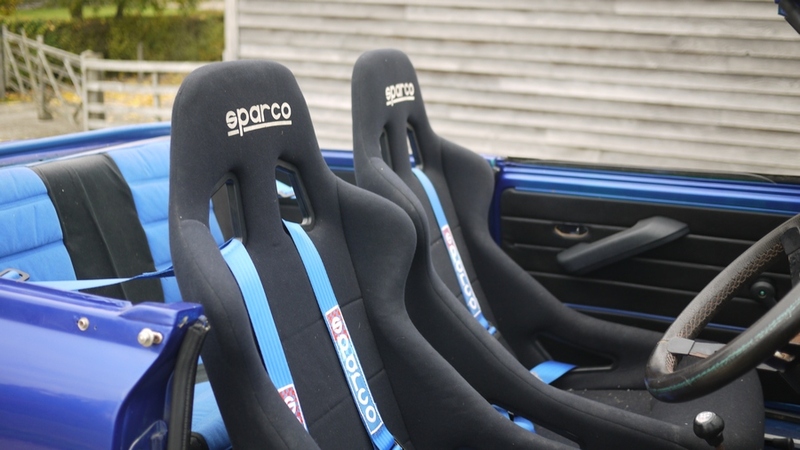 The Mini has a set of nice 10” Minilites alloy wheels and has a pair of sporty Sparco seats and matching harnesses. 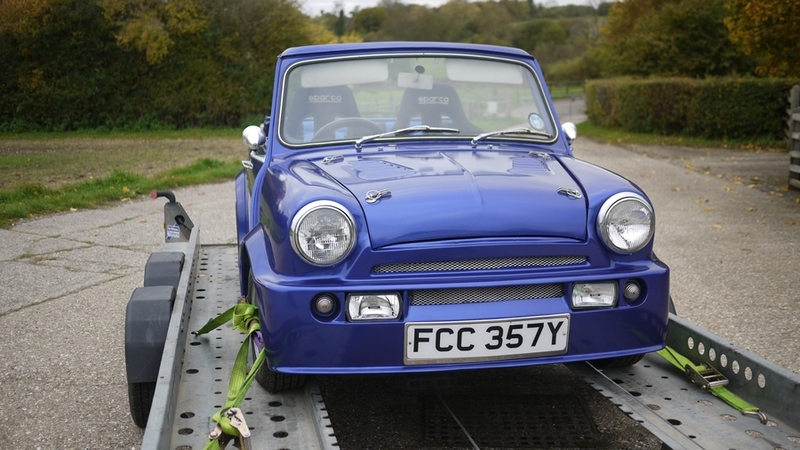 The car has a hood, but it either needs overhauling or ideally replacing. 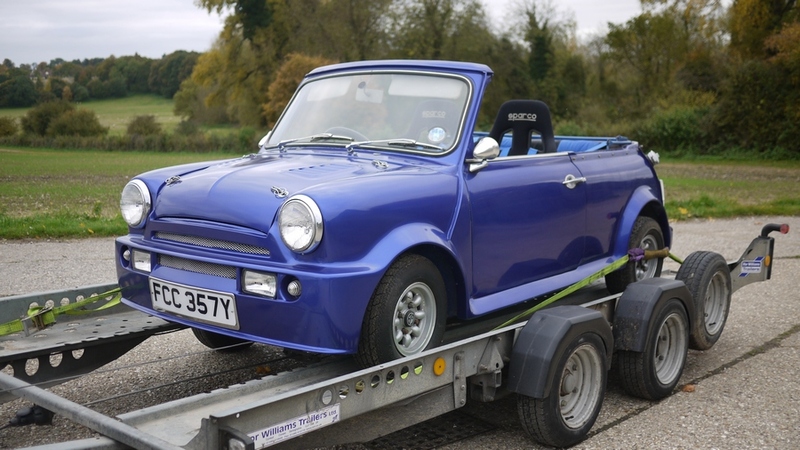 This is an easy project that will produce a very lovely unique mini. We are based in the North Hampshire countryside in Overton. We are a 10 minute drive from the M3 in Basingstoke, or just 10 minutes drive from Whitchurch via the A34. 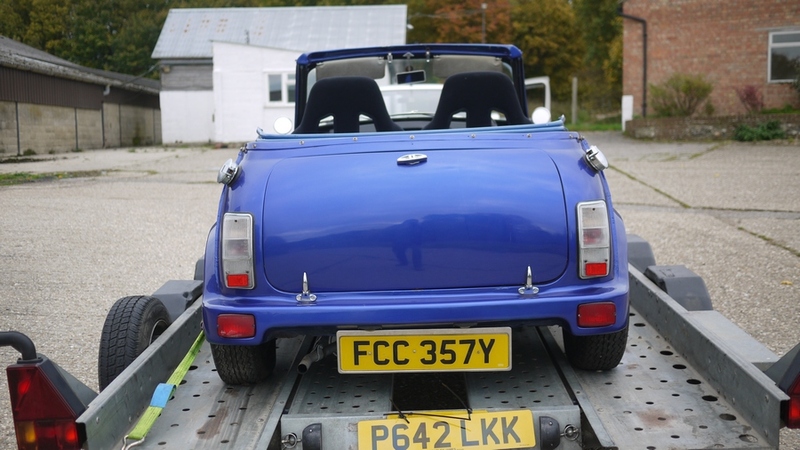 We can offer very competitive nationwide delivery and also we can part exchange your existing car.